November '59 last of the Euro Semaphore Beetles. 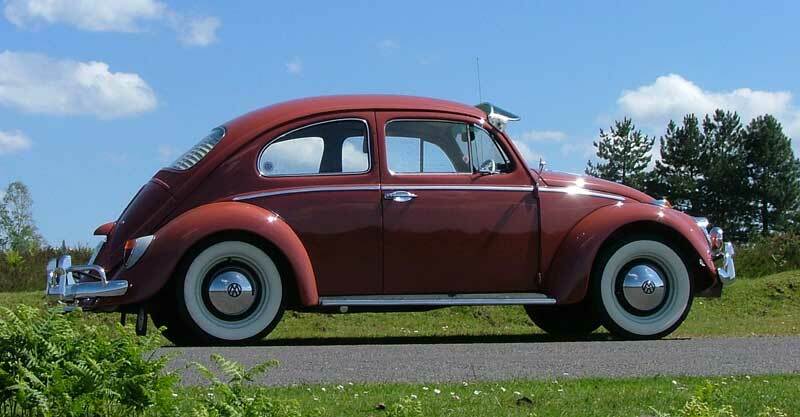 Ironically this RHD Beetle was shipped to Columbia, South America in 1959 and imported into the UK in 1962. It's the one year only India Red L451 which I think is a great colour and very rare...reason? it looks s**t on a colour swatch but great on the car.